The National Council of Lawyer Disciplinary Boards, Inc. is a Texas nonprofit corporation whose principal purpose is to serve as a national forum for the exchange of information and ideas about the administration, conduct and improvement of formal disciplinary and related proceedings for lawyers admitted to practice law in one or more jurisdictions of the United States. The National Council of Lawyer Disciplinary Boards serves as a national forum for attorney discipline adjudicative agencies to exchange information and ideas in carrying out their responsibilities and duties relating to attorney discipline. Organizes an annual meeting to discuss issues of common interest. ​In January 2003, disciplinary board members and staff from eight jurisdictions met in Houston, Texas, at the invitation of Gaines West, Chair of the Texas Board of Disciplinary Appeals, to explore the viability of establishing a national organization to act as a resource for disciplinary board volunteers as well as staff. The group, which included representatives from California, Washington, D.C., Georgia, Michigan, Oregon, Pennsylvania, Tennessee, and Texas, agreed that, while their disciplinary structures varied, the states had many common issues and could benefit from a national association of disciplinary boards. Although the National Organization of Bar Counsel (NOBC), was well established, members felt that NOBC could not always address the specific needs of those involved in the adjudication side rather than prosecution side of lawyer discipline. In 2003 Gaines West, Chair of the Texas Board of Disciplinary Appeals, invited disciplinary board members and staff to discuss the idea of forming a national organization. Maureen Mulvenna, Supervisory Attorney with the Illinois Attorney Registration and Disciplinary Commission, hosted the second organizational meeting in May 2003 in Chicago. The National Council of Lawyer Disciplinary Boards serves as a national forum for the exchange of information and ideas about the administration, conduct, and improvement of formal disciplinary and related proceedings for lawyers admitted to practice law in one or more jurisdictions of the United States. 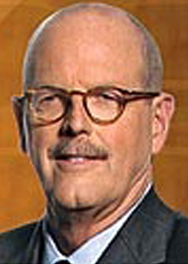 Under the leadership of the Honorable Ronald W. Stovitz, Presiding Judge of the State Bar Court of California, the first board of directors meeting was held September 16, 2003. Articles of incorporation and by-laws were drafted and with assistance from Karen Watkins, Texas Board of Disciplinary Appeals, NCLDB was incorporated in Texas. 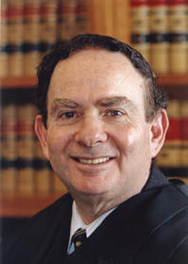 The Honorable Ronald W. Stovitz, Presiding Judge of the State Bar Court of California, served as NCLDB's first president. Michigan was the first state to pay annual dues and became the inaugural member of the National Council of Lawyer Disciplinary Boards, Inc.
George Reimer and John Van Bolt worked to create the group’s Listserv. Mr. Reimer also secured the group’s domain name, created the first website, and worked diligently to obtain 501(c)(3) tax status for the organization. Elaine Bixler and Christine E. McKeeman also contributed extensive assistance to the new organization. Elizabeth J. Branda, Executive Attorney with the D.C. Board of Professional Responsibility, chaired NCLDB's first annual conference in February 2004 in San Antonio, Texas. The organization’s first annual conference was held in February 2004, in San Antonio in conjunction with the ABA Mid-Year Meeting. Elizabeth J. Branda chaired the program planning committee. Thirty-four board members and staff from 15 jurisdictions attended the first annual conference in San Antonio: California, District of Columbia, Florida, Georgia, Illinois, Louisiana, Massachusetts, Michigan, Missouri, New Jersey, Pennsylvania, Oregon, Tennessee, Texas, and Washington. The program included sessions on supporting and training a volunteer system, negotiated settlements in disciplinary actions, and a round-table discussion of current hot topics. Thereafter, NCLDB would hold its regular annual meetings in conjunction with the ABA’s Mid-Year Meeting usually in early February. In 2007, NCLDB specially recognized Gaines West, Judge Ron Stovitz, John Van Bolt, and George Reimer as Founding Visionaries for their extraordinary contributions to the organization. In 2009, the NCLDB held its first joint program session with the National Organization of Bar Counsel to discuss Handling the High Profile Case – the Adjudicator’s View. By its 9th Annual Meeting in New Orleans in 2012, the NCLDB had grown to 27 members. By its 13th Annual Meeting in San Diego, California in 2016, NCLDB organized one of its highest attended meetings. In addition a joint program with both the National Organization of Bar Counsel and Association of Responsibility Lawyers (APRL) was held as part of the Annual Meeting. Today, as in 2003, while each jurisdiction has a unique disciplinary system, the issues of assisting volunteer hearing officers, volunteer board members, and deciding and recommending attorney discipline remain shared by all. NCLDB welcomes new members and we are always looking for ways to serve our members.